The Dimmons research group is characterised by its openness, multidisciplinarity and action-research orientation. More than a research group in the traditional academic sense, we like to think about the group as a collaborative research community. We want to experiment new ways of organizing research, taking advantage of new possibilities open up by ICT and collaborative/co-creation methodologies in the field of digital Commons, peer production, socio-economic innovation, and collaborative economies. In order to build a diversified group adapted to different backgrounds and with complementary methodologies, knowledge and perspectives, we have created this section about possible ways of engagement with Dimmons. There are several ways to keep informed and connect with us. Currently there are no open positions. Visit us later or follow us on Twitter so you can see when we are opening new possibilities! If you are interested on doing your degree’s or master’s practices with us, depending on what university you are, and what period we are, there are different steps to do. Please, contact us, and we will help on that! Our program of research visiting offers: a desk work and other infrastructure, access to library, invitations to meetings, seminars, events and etc, facilitation of contacts, advice and feedback on research. We require the person to come at least one day of the week at the office, and to publish an article out of his/her stay with Dimmons visiting researcher affiliation. Contact us in case you need documentation (invitation letters, etc). In this case, please provide us information on your current research, affiliation, wanted period of stay. 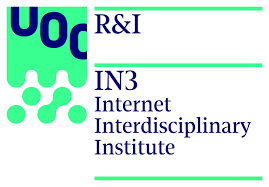 Around each September and January the Open University of Catalonia (UOC) opens the call for the Information and Knowledge Society Doctoral Programme. The call for applications usually opens around September-December and ends on January. Graduates in the European Higher Education Area (EHEA) who have passed a minimum of 300 ECTS credits out of all official university courses (including a Master’s Degree). The pre-doctoral grants could cover until a maximum period of 4 years. On these maximum 4 years, 3 are dedicated to the PhD thesis, and 1 extra year could be added according to obtained results and budget availability. Full-time assignment. There is an on-line education mode. This contract is for a 3-year program, with a full time contract. At the end of every year, the pre-doctorate should prepare a report, and ask for every year renovation grants. Currently the Ministry is defining a new fund planification for the following three years, so this information could vary. It covers 4 years: the first two years are as a grantee recipient, and the last two years should include a contract with a research institution. The essential element of the industrial doctorate process is the research project carried out at a company or institution, where doctoral students will further develop their research training in collaboration with a university or research centre, and which is the object of a doctoral thesis. Therefore, the industrial doctorates act as a bridge for knowledge transfer and encourage closer ties between Catalan industry, universities and research centres. For candidates who have doctorate at UOC, they should demonstrate to have been working as Post-doctoral in other research centers for two years. Juan de la Cierva training contracts aims to encourage the professional recruitment by Spanish research institutions of young PhDs for a 2 years period, with the main goal that those PhDs expands their research post-doc training on different centers from those where their pre-doctoral training has been developed. Juan de la Cierva are focused for those recent doctorates, within a period of less than a year. It cannot be applied for the same research or universitary institution where the PhD has been developed. The purpose of the Beatriu de Pinós programme is to award 60 individual grants for the hiring and incorporation of postdoctoral research staff into the Catalan science and technology system. These contracts are designed to facilitate both the return and incorporation of researchers who have been working abroad in research undertakings located in Catalonia. Beatriu de Pinos contracts correspond to the Marie Curie program at the Catalan system. Beatriu Pinós contracts are for those post-doctoral researchers who have been certified with a PhD between two to eight years before, and with two post-doctoral years of research experience in the previous three years at non-Spanish centers. Contribute significantly to advanced studies of mutual interest to the U.S. and Spain by teaching, preferably at graduate level; conduct research and/or collaborate with colleagues at Spanish academic and research institutions; or a combination of both. 2.000€-2.800€ per month, including separately other benefits for travelling, dependents allowance, etc. The Marie Skłodowska-Curie actions (MSCA) provide grants for all stages of researchers careers – be they doctoral candidates or highly experienced researchers – and encourage transnational, intersectoral and interdisciplinary mobility. The MSCA enable research-focused organisations (universities, research centres, and companies) to host talented foreign researchers and to create strategic partnerships with leading institutions worldwide. There are four big types of actions, but here you can be interested on “Individual Fellowships”: support for experienced researchers undertaking mobility between countries, including and optionally to the non-academic sector. PhD degree holders who haven’t been working in Spain (in our case) for more than three years in the previous five years. This highly competitive contract aims to promote the recruitment of national and international researchers with a prominent career at research and development centers.